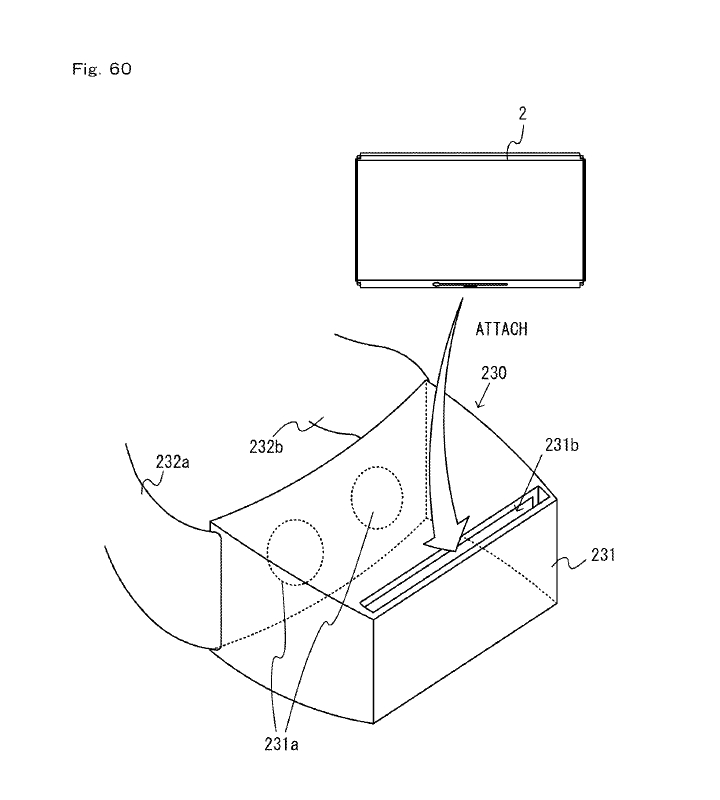 Nintendo Switch VR Might Come to Fruition With New Patents | Nerd Much? 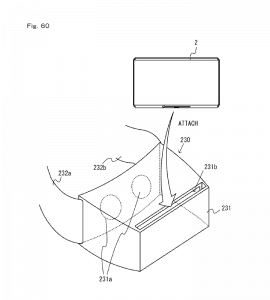 Just published today, these new patents were filed by Nintendo with the U.S. Patent and Trademark Office back in June. The patents, though indirectly worded, mention a device that “can be mounted on the head of the user by connecting together [the] two belts”. Well, unless Nintendo is making me a pretty headband, I’d say these are fairly clear statements. We should make it clear, however, that just because a patent is published doesn’t mean the patented thing will actually happen. Patents are essentially for place-holding ideas, not in any way confirming them. But how would VR work on the Switch? As far as we can tell, the screen part of the console would “be attached to the HMD [Head Mounted Display] accessory [the possible VR headset] by inserting [the screen] into the insertion slot” as shown in this figure 60 displayed to the left. The filing also notes that the Switch’s Joy-Con controllers can continue to be used wirelessly once the display screen is inserted into the “HMD”. How cool would it be for the Nintendo Switch to have VR too? Let us know what you think and maybe what games you’d like to see in Nintendo VR in the comments below! Stay plugged in to the latest gaming news at NerdMuch?